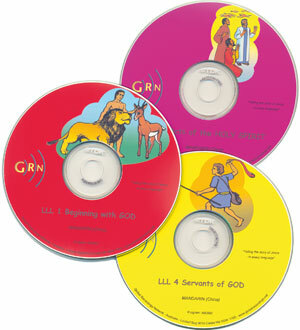 Global Recordings Network has always been quick to use and adapt emerging technologies for the specific purpose of "Telling the Story of Jesus in Every Language"; a new technology sometimes enables missionaries to use our "tried and true" resources and recordings in new and different ways. "We work with the Fulani in Niger and are involved in radio work; developing and writing programmes - translating them and recording them. We broadcast them with 2 local stations. We have the 8 books of "Look, Listen & Live" in MP3 format. 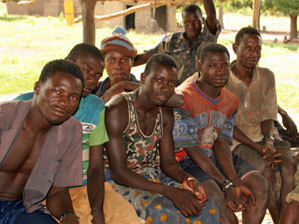 At the moment there are MP3-radios around in Niger on local markets. You can put material in MP3 format on a memory stick or SD card and play it through this radio. We have put all our material: radio programmes and Christian teaching on USB sticks and SD cards for believers and seekers. We will start to put "Look, Listen & Live" on them as well. Also in the wider field of Niger, we are the media coordinators. We have provided many missionaries with all different evangelistic material in the different languages also the "Look, Listen & Live" material. Different people start using it and in this way more and more people get access to the material. Last week we even distributed the LLL lessons in MP3 format to local churches. They were very pleased!" GRN materials are versatile enough to be used in a wide variety of contexts and in different ways. How can you use GRN material to tell the story of Jesus, where you are?